This post may contain affiliate links. I also received a copy of the"Little Lamb From Bethlehem", so I could review the book. All opinions are 100% my own. See the full disclosure. I am pretty picky when it comes to the traditions we set around Christmas time. It is such a special time of year and I really want my family to focus on the Savior and making memories as a family. When I heard about the Little Lamb from Bethlehem tradition I was really excited about it. What I like about it is that it focuses on the Savior. I like that the Little Lamb can be touched, he can come along on the journey of coming closer to the Savior as a family. I love the humble beginnings of the Little Lamb from Bethlehem. It came because a mom, wanted to bring the spirit into her home during Christmas time. The inspiration came as she spoke to her own mother, Christine Mower, about this desire, who then had the thought of a Little Lamb from Bethlehem come to her mind one night. So she typed up a letter, purchased a lamb and sent it to her daughter and her family. After 4 years of using this tradition in their own home they have graciously made it available to all of us! 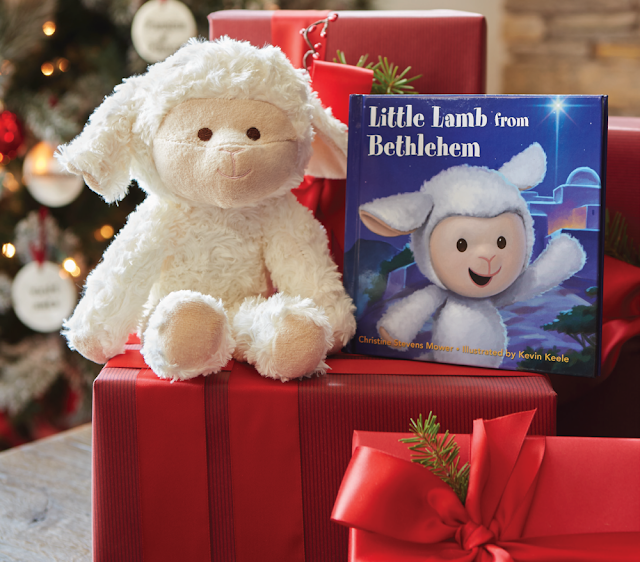 So what are some ways you can incorporate the Little Lamb from Bethlehem into your family's Christmas Traditions?? The Little Lamb can be as simple or as complicated as you would like to make it. First, you'll need to decide how you would like to incorporate it. 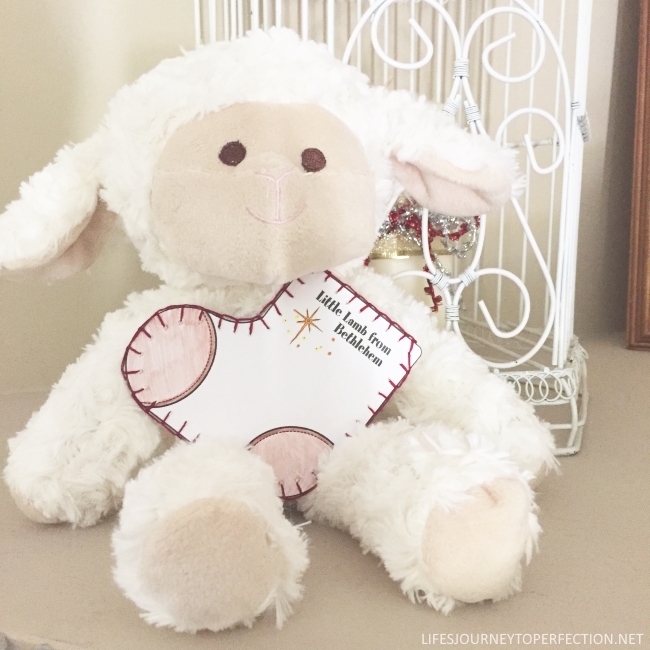 How often would you like the Little Lamb to bring a message to your family? What would you like the little lamb to focus on, service? Scriptures of Christ? A mixture of both, etc. Typically the Little Lamb, the book and a note from the Little Lamb would come on December 1st. The note would state where the Little Lamb is coming from, why he's come to your family (to help invite the Spirit of Christ into your home), and what to expect from the Little Lamb (how often and what he'll be bringing). Your children can even name the little lamb. Then however often you choose, the Little Lamb would bring a little something. So for instance, if you choose to focus on service and you were going to do it every day. Then the Little Lamb would have a little note explaining what act of service to do that day. You can choose if your lamb moves or stays in one spot. He does not misbehave in any way and the children can touch him. Actually, your children are going to want to hold him and bring him along on their adventures. He really is a soft cuddly stuffed animal and super cute too! There are ideas at the back of the book of what the Little Lamb might bring. Or you can come up with your own ideas. I've partnered with Deseret Book and have designed a paper stocking, that these messages/notes can go in each day. There are 4 stocking designs to choose from. Print one out for the whole family, or print one out for each child and they can personalize it. You can hand sew around the edges as shown, or just glue or staple around the edges. Click the Free Download button below to print the stocking. I'd love to hear about how you are going to incorporate the Little Lamb into your family, share in the comments! If you post pictures on social media use the hashtag #littlelamb and if you use the stocking or the stationary or cards tag me @lifesjourneytoperfection on Instagram and Facebook as well! Oh Kim this is such a darling idea. I never got into the Elf idea, but this is such a good activity for the kids. I love your Thank You and paper designs, WOW! 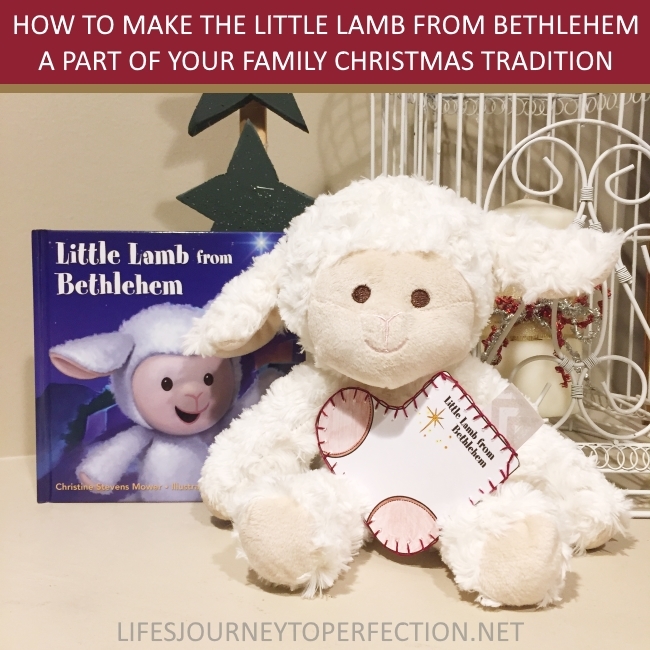 Perfect and easy guide on 'How to Make the Little Lamb from Bethlehem a Part of Your Family Christmas Tradition', this will make the Christmas more fun and enjoyable. This toy was so cute it inspired me to buy a real lamb. Fast forward to present day, I bought a farm, moved to Idaho and bought 67 baby lambs to raise them with the love and support they deserve. This toy changed my life!